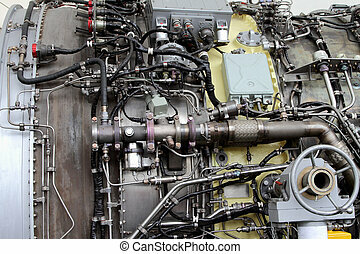 Aviation turbojet engine equipment. 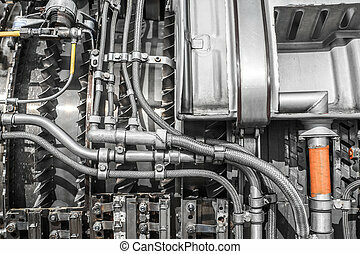 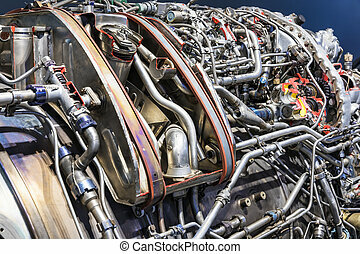 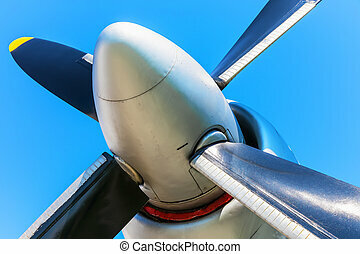 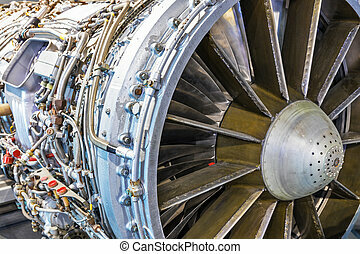 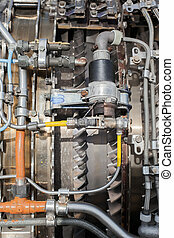 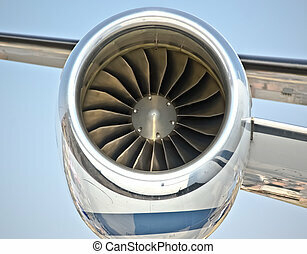 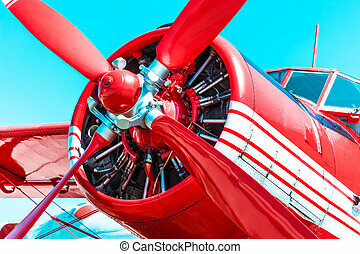 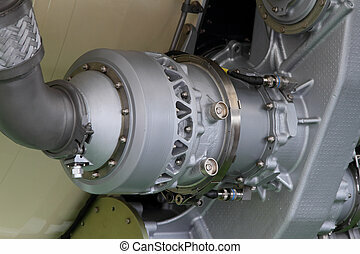 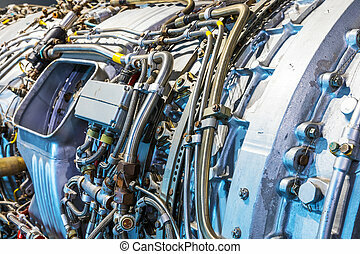 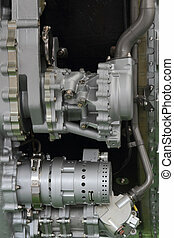 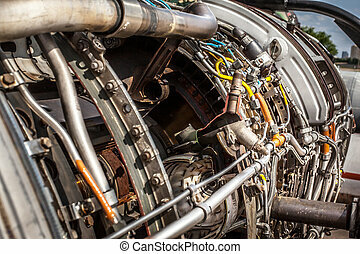 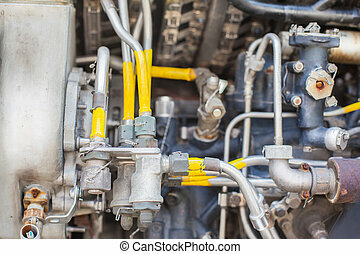 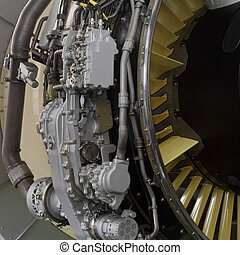 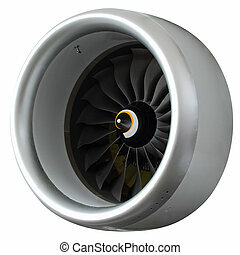 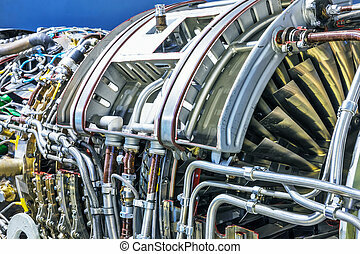 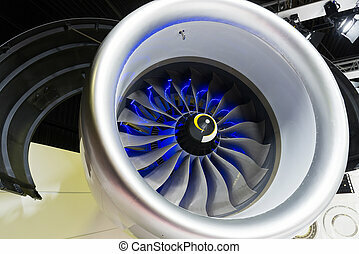 Creative abstract aviation industry technology concept: macro view of the airliner turbojet turbine engine equipment. 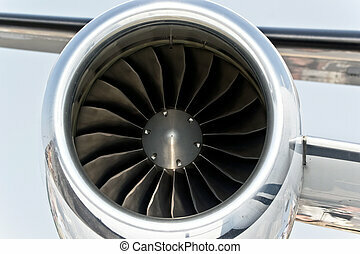 Detail modern turbofan engine closeup. 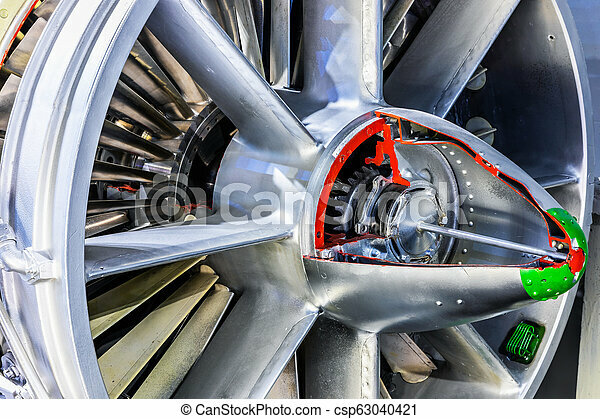 Components of a turbofan engine closeup. 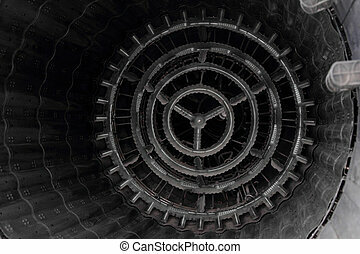 The tail of modern jet aircraft engine. 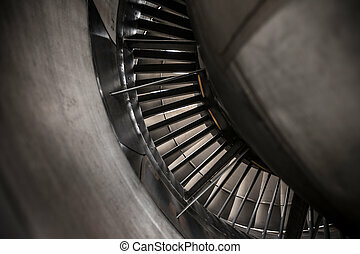 Turbo-jet engine of the plane, close-up. 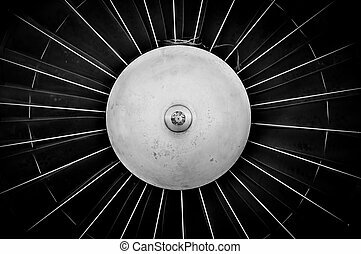 Part of a modern turbofan engine isolated on white background. 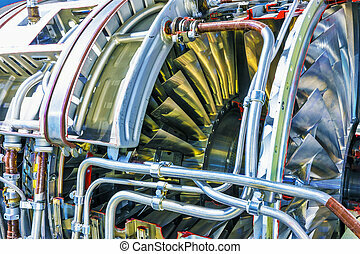 Part of a modern turbofan aircraft engine closeup.